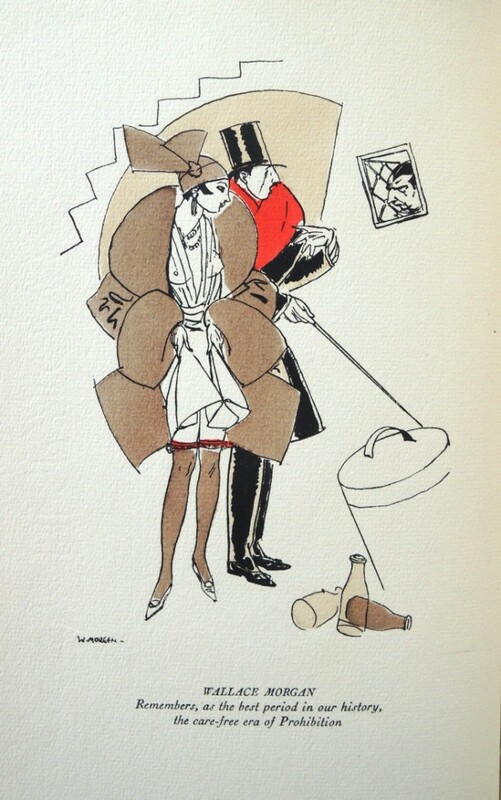 When we talk about pochoir or stencil coloring, the artist who usually comes to mind is Jean Saudé, a French printmaker who colored the work of the Parisian fashion world. The same technique was practiced in the United States, primarily at the studio of Charlize Brakely (1898-196?). 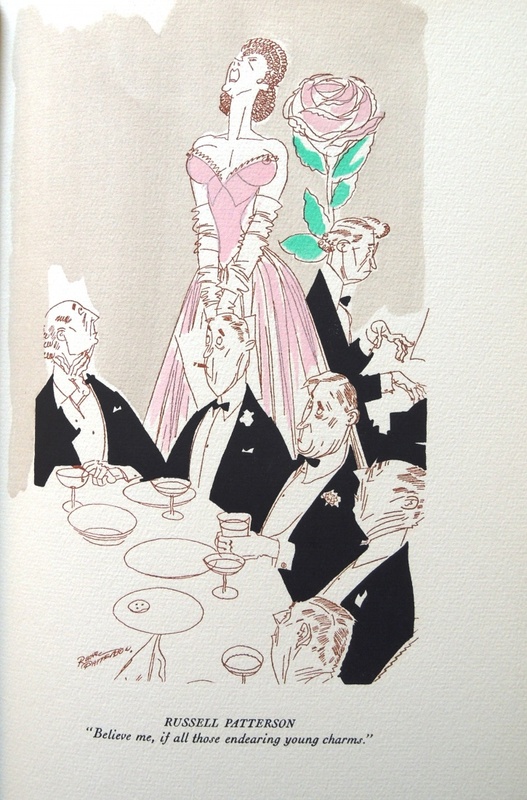 The commercial artist supported herself hand-coloring the plates for limited-edition fine-press publications from her studio at 1674 Broadway between 52 and 53 street. 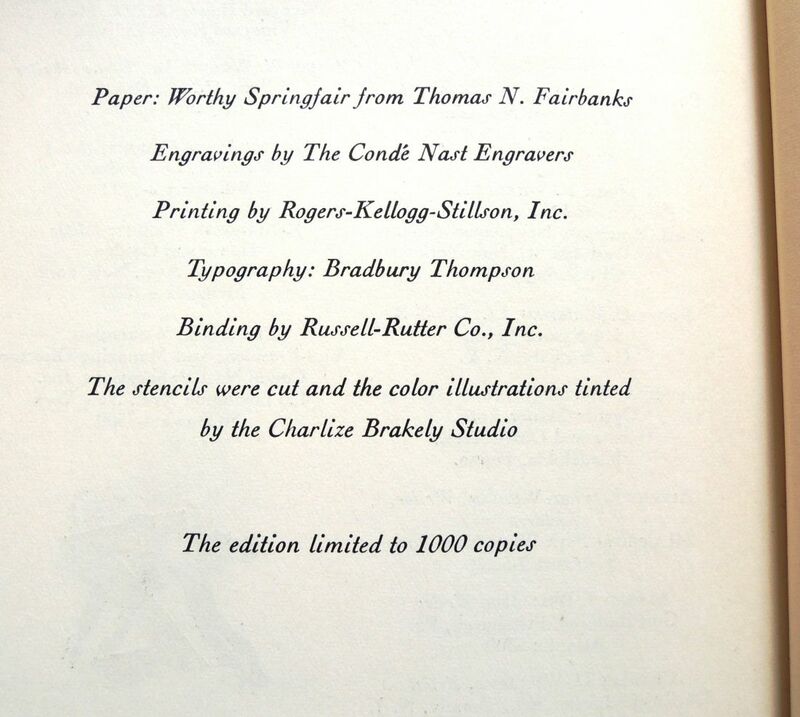 In 1943, The Dutch Treat Club, a group of men involved in advertising, illustration, and writing, decided to celebrate their 38th “war time” anniversary with a special publication. 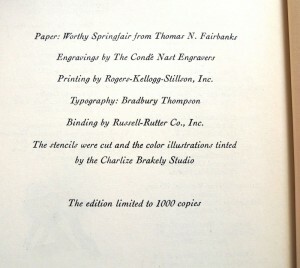 Texts were provided by Rube Goldberg, Paul Gallico, and others, a play with a moral by Westbrook Pegler, and portraits of nine club functionaries. Brakely was commissioned by hand-color twelve of the illustrations. This entry was posted in Illustrated books and tagged Charlize Brakely, Pochoir, The Dutch Treat Club on August 12, 2013 by Julie Mellby.